Are you the owner of a private parking lot, and are you fed up with the amount of unauthorized parking you have to deal with? Emergency Towing has recently introduced a ‘Private Property Towing’ service that is available throughout Oakland. The service of private property towing is also referred to as Private Property Impounding, and Enforcement Towing. If you have a problem with people taking advantage of your private restaurant parking or residential parking, our private property towing services can solve this problem. This service enables us to tow a car from your private property that is not authorized to be there. 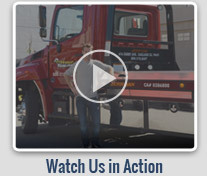 This enables our private towing service, to remove unauthorized cars at no expense to you. Emergency Towing provides private property towing services through an affiliate network of independent tow truck operators. We provide a tow trucks service for private property towing for professionally managed multifamily and commercial properties. We also do commercial towing for body shops, garages, and car dealers. 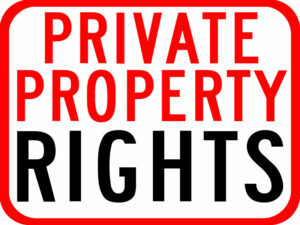 This private property impounding service is for property owners and management. Our company’s private parking service is free for management and owners of parking lots. The costs of the service are paid for by the vehicle owners or drivers at fault. We tow the car back to our parking lot, where the auto will be held until it is claimed by the rightful owner. 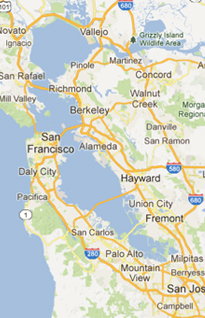 Our licensing allows us to perform this service in the Oakland area.